Land of Sleep has a large variety of luxury mattresses from top brands including Simmons Beautyrest and Serta. The latest Simmons Beautyrest mattresses feature air-cooled memory foam and responsive pocketed coils to help you stay comfortable and feel refreshed when you wake. Serta mattress options including the icomfort and iseries help keep you comfortable with gel technology that offers ideal support and the proper temperature in their innerspring and memory foam mattress combinations. Other great luxury mattress manufacturers offered by Land of Sleep include Dunlopillo with natural, chemical free hypoallergenic materials and Restonic with a design that reduces sagging. 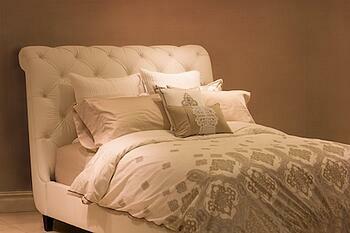 Land of Sleep has the largest selection of adjustable beds and mattresses among mattress stores in downtown Sarasota. Choose from firmness options ranging from extra-firm to plush and achieve the perfect comfort setting for your sleep style. Adjustable beds can help reduce snoring and ease the pain from certain health issues, along with offering an improved, supportive sitting position for reading, working and watching TV in bed. With the adjustable comfort of these mattresses, your bedroom transforms into a serene, relaxing space. If you're dreading the idea of having to haul your old mattress out, fret not, because Land of Sleep offers free removal of old bedding along with free delivery and setup of your new mattress. This means that you can say goodbye to your old, uncomfortable bed and start enjoying your new luxury mattress on the same day. Such a feature is especially wonderful if you live in a two-story home or higher level apartment that makes furniture moving challenging. Among mattress stores in downtown Sarasota, Land of Sleep is one of the most dedicated to providing a convenient and pleasant experience for their customers. Having a good night's sleep is essential to maintaining a healthy energy level throughout the day and Land of Sleep helps you achieve that with our wide selection of mattresses and adjustable beds. We've been serving the Sarasota and Venice areas for over 40 years and can help you sleep better starting tonight. Stop by our showroom today to fine your perfect mattress.